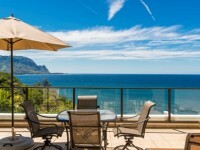 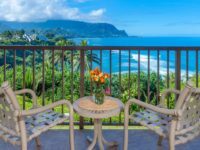 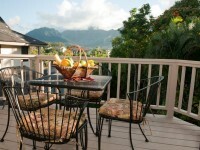 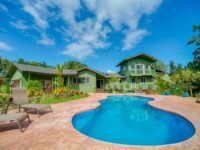 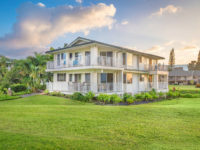 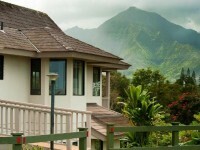 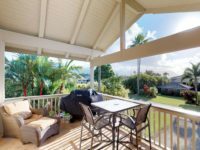 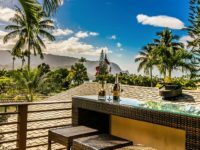 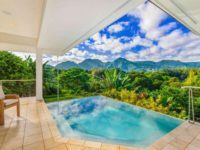 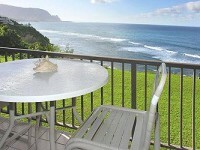 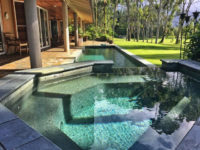 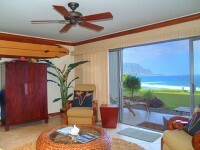 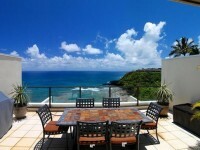 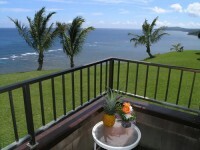 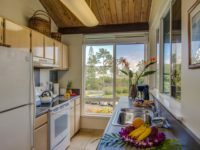 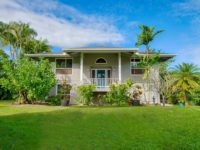 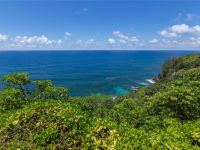 CONDO RENTAL PRINCEVILLE KAUAI: From the lanai and atrium of Pu’u Po’a #305, the beautiful blue Pacific Ocean of Kauais North Shore coastline is seen in both directions. 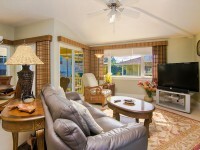 This 2 bedroom, 2 bath unit is very spacious and boasts over 400 sq.ft. 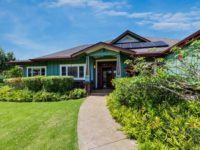 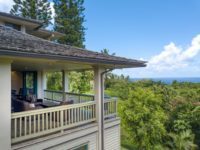 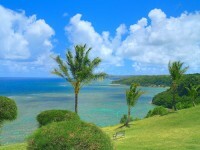 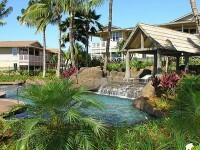 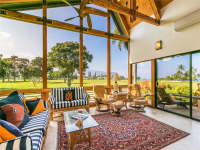 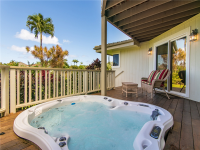 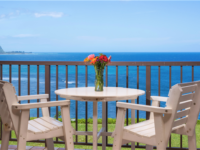 of lanai taking advantage of the sweeping ocean vista, romantic sunsets and magnificent views of Mt. 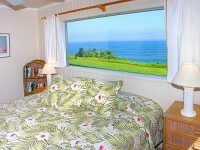 Makana (commonly known as Bali Hai, made famous in the old classic movie South Pacific).